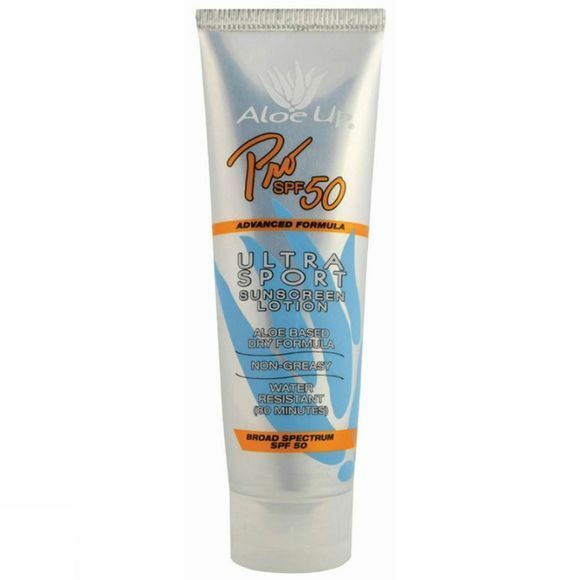 The Aloe Up SPF50 Pro Sport 118ml is a technical sun cream demanded by serious athletes for extreme conditions. It is non-greasy and won't run into the eyes. The cream has a high water resistance and up to a 35% Aloe Vera gel content for all day protection.